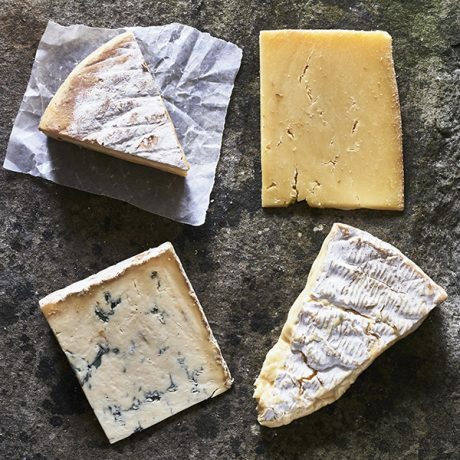 This selection of farmhouse cheeses highlights the very best cheese that Britain can produce: pungent ‘washed-rind’, buttery-rich Cheddar, creamy and gooey Brie and, of course, a brilliant British blue. Washed -Stone. Unpasteurised cows’ milk. 250g. 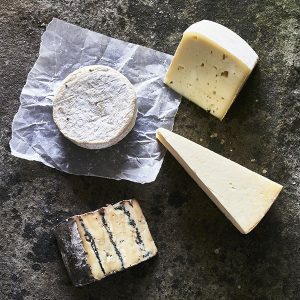 Hafod Cheddar. Unpasteurised cows’ milk. 250g. 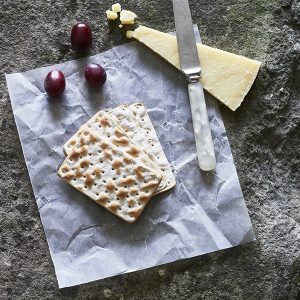 With only 65 Ayrshire cows providing the milk, this clothbound Cheddar is made to a very traditional recipe, giving a cheese that is buttery and smooth, with that special Cheddar tang. Young Buck. Unpasteurised cows’ milk. 250g. An outstanding raw-milk blue cheese from Northern Ireland. 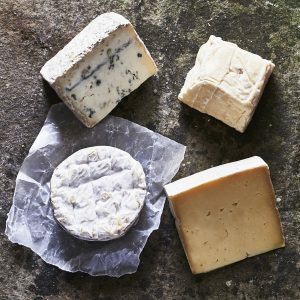 An interesting take on a Stilton recipe, Young Buck cheese is traditionally made and hand-ladled to produce a rich, lingering flavour. 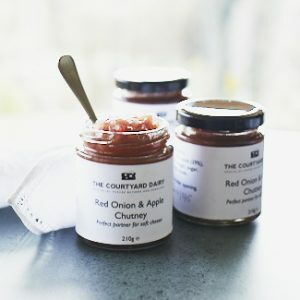 An impressive debut cheese.